If you've noticed a tiny discolored spot on your computer screen that just doesn't seem to go away, chances are you have a stuck pixel. With modern LCD and OLED screens, there are millions of incredibly small dots (pixels) that make up all of the contents of your display—and within these pixels, there is a set of red, green and blue subpixels. These mix together at various levels to create all of the different colors you see. When one of these subpixels starts acting up, the pixel it resides in can seemingly get stuck on one color, resulting in a weird colored dot that you can see more prominently on a dark background. 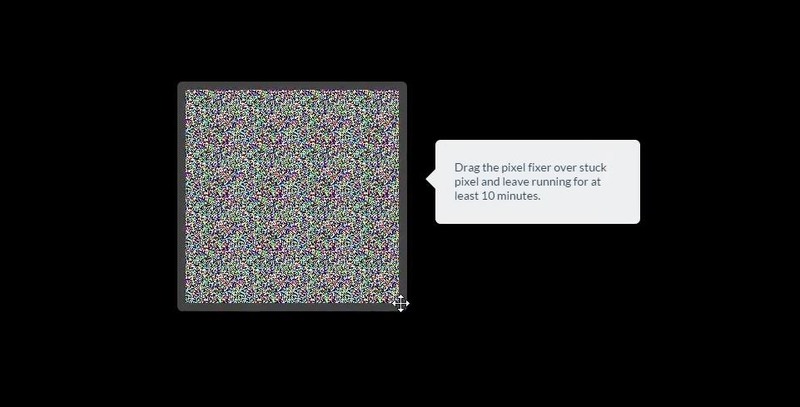 But if this has happened to you, don't go sending off for costly repairs or buying a new monitor just yet, because there's an incredibly simple free fix that will likely get rid of any stuck pixels within 10 minutes. 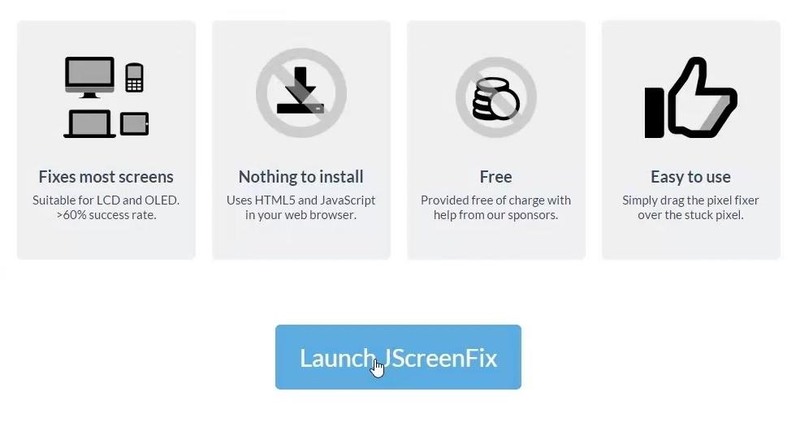 To get started, just head to the JScreenFix website, courtesy of developer JADS, from any web browser. Next, scroll down to the bottom of the page and click the "Launch JScreenFix" button. At this point, you'll see a small square of animated static sitting on top of a black background. Just use your mouse to drag this square around your screen until it's sitting directly on top of your stuck pixel. If the stuck pixel is outside of the boundaries of your browser, hit the F11 button on your keyboard to make the page go full screen. From here, just kick back and wait for 10 minutes, and with any luck, the static will jump start your stuck pixel. This method has a 60% success rate, so the majority of stuck pixels can be fixed. Did JScreenFix solve your issues with dead or stuck pixels? Let us know in the comment section below, or drop us a line on Android Hacks' Facebook or Twitter, or Gadget Hacks' Facebook, Google+, or Twitter. If you still have dead pixels, check out this guide for more help. what if jscreen does not help? Unfortunately, that probably means that the pixel can't be revived. So i have a LG phone, and this morning i woke up to the whole screen having random colors. I cant see anything but i can still feel the vibration of entering a password so i know the phone is working fine. What do i do??? plz help what shud i do? I created a petition about the oblige manufacturers to control of the absence of dead pixels. Sign it to buy quality products and not be afraid to get a poor-quality screen.